Cloth Pads come in a near infinite range of sizes, absorbencies and fabrics, to suit the different uses and needs of the users. From tiny little pantyliners that are useful for daily use, up to gigantic night pads that will keep you covered no matter how much you toss and turn at night. You change them as often as you would a disposable, so in that respect it is no different to using disposable pads. Although you may find they are more absorbent and don’t require changing as often. The only difference is that after you finish with a cloth pad, you toss it in the wash and re use it. Where disposable pads have adhesive strips to stick them to your underpants, cloth pads rely on the fabric backing gripping to your underpants as well as snug fitting underpants. The contoured shape of many cloth pads also helps to keep them put without the need for adhesives. Most cloth pads have wings like disposable pads – but use press-studs/snaps or even buttons instead of adhesives. With fabrics such as hemp and bamboo, a very absorbent pad can be really thin. With modern waterproof fabrics they can give you the same security as a disposable, or you can choose to go all natural fabrics for maximum breathability. Washing Cloth Pads can be as easy as tossing them in the washing machine, no disinfectants or special routines are needed. If you do have stains, you can try strain removers and darker coloured pads that hide stains better. Have you ever had a sweaty rash from disposables? Perhaps you are like the many people who get thrush during their period? 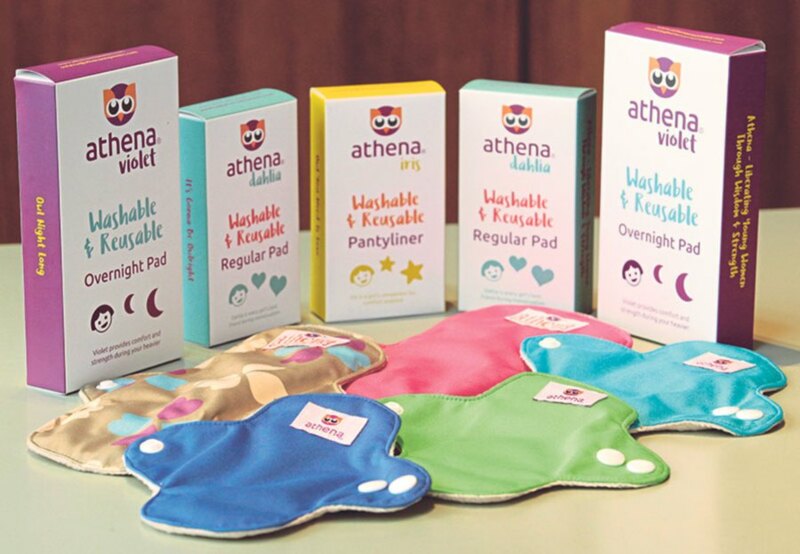 Cloth Pads are softer on the skin, and because they are made from fabric instead of plastics they also allow better airflow, which can help prevent thrush and rashes. Of course, being cloth (and reusable) they are also much better for the environment than disposables. The old pads can be composted after they are worn out (which will take several years), and the water you rinse the pads in is a great fertiliser for the garden.